Mayne Stage adds more performances to its inspiring lineup including Masters of Percussion, October 19; Guy Mendilow Band, October 27; Mike Manson, October 28; Lizz Winstead, November 2; Fifth House Ensemble, November 17, February 16 and May 4; JT and The Clouds, November 19; Bleu, November 11; BettySoo, December 1 and Geoff Muldaur & Jim Kweskin, December 9. Buy tickets at www.maynestage.com or call (773) 381-4554. Enjoy a one night only gathering of musicians at Mayne Stage for Masters of Percussion on Tuesday, October 19 at 8 p.m.
Three sets will be performed at Masters of Percussion including Joe Rendon & Friends Latin Jazz, Tony Carpenter’s MBTC and Drum Ensemble and a final set featuring Alejo Poveda, Ruben Alvarez, Omar Almusfi, Kalyan Pathak and others. Starting off the night, Joe Rendon, from Chèvere, turns up the heat with his Latin Jazz music, creating an addictive rhythmic atmosphere. 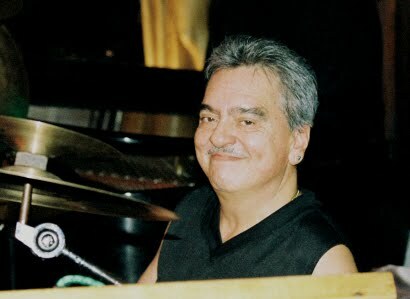 With his deep knowledge of traditional Afro-Cuban percussion, he is able to adapt the congas to any style of music. Rendon has performed with large talents such as Paquito D'Rivera, Andy Montanez and Irakere. Learn more about Rendon and Chèvere at www.cheveredechicago.com. During the second set, the percussion masters, Tony Carpenter’s MBTC and Drum Ensemble, bring a mean groove and legendary touch to the stage. Carpenter comes from the south side of Chicago to play at Mayne Stage. Ending the night will be Alejo Poveda, Ruben Alvarez, Omar Almusfi and Kalyan Pathak, as well as a return of the other star percussionists, for an unforgettable finale. From Stomp, to the Blue Man Group to Santana, percussion is the one sound everyone understands. Come enjoy it October 19 at Mayne Stage. Doors open at 7 p.m. Tickets are $20 at www.maynestage.com or (773) 381-4554. Enjoy music by acoustic, fusion and folk group, Guy Mendilow Band, at Mayne Stage Wednesday, October 27 at 8 p.m. The members of Guy Mendilow Band, made up of Guy Mendilow, Aubrey Johnson, Andy Bergman, Tomoko Omura and Rich Stein, come from a variety of backgrounds across the globe. Joined together by their passion for music, Israeli performer Guy Mendilow leads this quintet in breaking down musical boundaries with an inventive blend of world music street beats. 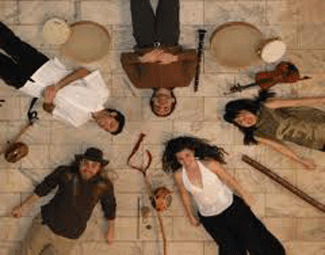 Performing in Hebrew, Arabic, Ladino, Portuguese and English, the band skillfully fuses tradition with a contemporary sound. Alongside lush vocal harmonies, woodwinds and strings, Guy Mendilow Band creates intricate textures with berimbaus, percussion and jaw harps. Guy Mendilow Band’s latest CD, Skyland, includes Israeli peace songs, which are well-suited to their partnership with international peacemaking organization, Seeds of Peace. Guy Mendilow Band hopes to sow the seeds of peace through music. To learn more, visit www.guymendilow.com. Come see Guy Mendilow Band Wednesday, October 27 at Mayne Stage. Doors open at 7 p.m. Tickets for the show are $10 at www.maynestage.com or (773) 381-4554. Watch Mike Manson perform music from his latest CD, Up Front, as well as classics at Mayne Stage Thursday, October 28 at 8:30 p.m.
Mike Manson is a hard-hitting jazz funk musician with lyrical roots in Chicago, Ill. For Manson, the bottom line has always been great music. Since he first picked up a guitar, he has continuously been developing strengths in various aspects of his musical career. With a voice and talent that has brought him front and center with the most esteemed names in jazz, gospel, R&B, rock and pop, Manson has even reached the Top 10 on the R&R Smooth Jazz for his single "Coming Right At Ya". 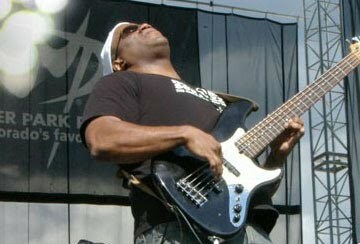 Credited for writing and producing his latest CD, Up Front, Manson collaborated with some of the biggest names in Smooth Jazz today including: Rick Braun, Kirk Whalum, Jeff Lorber, Brian Culbertson, Nelson Range, Norman Brown, Paul Jackson Jr., George Duke and many more great jazz musicians. Look forward to listening to some of the songs from Up Front, an album mixed with contemporary jazz, R&B and even a little gospel music, at Mayne Stage. Visit www.mikemanson.com to learn more. Listen to Mike Manson Thursday, October 28 at Mayne Stage. Tickets are $20 at www.maynestage.com or (773) 381-4554. Enjoy an evening of political satire with The Daily Show co-creator and head writer, Lizz Winstead, for Dumb-ocracy at Work! 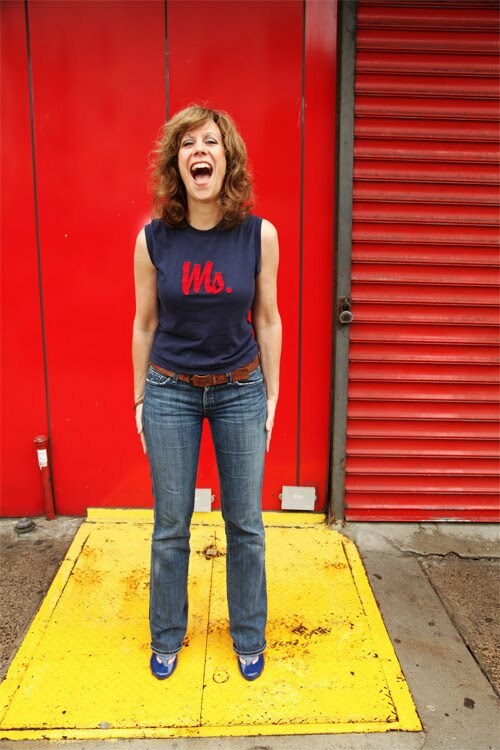 : Election Night at Mayne Stage Tuesday, November 2 at 8 p.m.
With her political insights and jabs, Lizz Winstead has changed the way people get their news and reactions to politics forever. Not only is she a correspondent on The Daily Show, but she has also taken her unique satiric voice to the radio waves, co-founding Unfiltered, Air America Radio's mid-morning show, where she brought on board Hip Hop legend, Chuck D, and political big-brain, Rachel Maddow. Lizz takes on hypocrisy with a brilliant razor sharp wit, hitting all the big guys who chose to abuse their power. From Beck to Bachmann, Healthcare to Hedge funds, no one is exempt from a hilarious joke. Most recently, Lizz wrote and produced an independent pilot of her Off-Broadway hit, Wake Up World. Lizz's talents as a comedian and media visionary have been recognized by The New York Times, The Washington Post, Entertainment Weekly's 100 most Creative People issue and has brought numerous television appearances, including Comedy Central Presents, weekly segments on The Ed Show on MSNBC and The Joy Behar Show on Headline News and is blogging regularly at The Huffington Post. 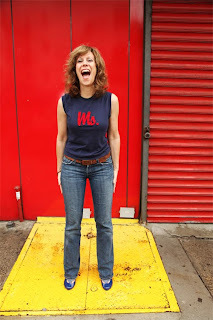 Learn more about Lizz Winstead at www.lizzwinstead.com. Come out for a night of laughs with Lizz Winstead Tuesday, November 2 at Mayne Stage. Doors open at 7 p.m. Tickets are $25 at www.maynestage.com or (773) 381-4554. Come see performances by Fifth House Ensemble at Mayne Stage. Shows include The Weaver’s Tale: Of the Fearless Boy and Loveless Girl Wednesday, November 17; The Weaver’s Tale: Of Cinderella and the Devil Wednesday, February 16, 2011 and The Weaver’s Tale: Of Debt and the Maidens Wednesday, May 4, 2011. All performances are at 8 p.m. The Chicago-based Fifth House Ensemble is a versatile and dynamic group whose performances have been praised by critics as “a little slice of nobility” and “simply fun to hear.” Fifth House’s innovative programs engage audiences through their connective programming and unexpected performance venues. Performances are aimed at highlighting relationships between classical music and art forms as diverse as film, dance, gourmet food, theater, winemaking and visual art, as well as creating new sounds through collaborations with artists of other music genres. Recently named to the Illinois Arts Council’s Arts-in-Education Roster, Fifth House’s innovative educational endeavors have resulted in performances and residencies at Chicago public schools and the Chicago Cultural Center in partnership with the International Music Foundation, as well as performances at the Woodstock Opera House. This season’s residencies will be conducted at Chicago’s Mather High School, Burley Elementary School and Perez Elementary School, and will explore subjects including geology, poetry and multicultural influences in Western music. Named Ensemble in Residence at Carthage College beginning in the Fall of 2009, Fifth House also frequently performs for college audiences. Learn more at www.fifth-house.com. Enjoy three great nights with Fifth House Ensemble on November 17, February 16 and May 4 at 8 p.m. Doors open at 7 p.m. Tickets are $25 for VIP reserved seating in advance, $20 for general admission in advance and $25 at the door. Visit www.maynestage.com or (773) 381-4554 to reserve your spot. 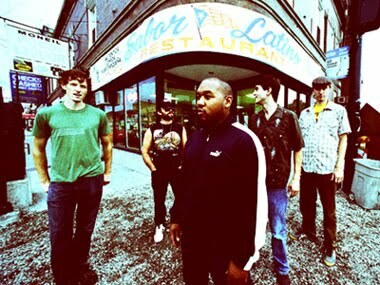 Watch JT and The Clouds, led by Jeremy "JT" Lindsay, perform at Mayne Stage Friday, November 19 at 9 p.m.
JT and The Clouds have been putting out records and touring since 2004 and recently have built up more notoriety outside of their own backyard in Chicago. The music is alive to the ever-shifting tides of modern indie music but remains steeped in the city's fine traditions of soul, rhythm and blues. The band resists the urge to pigeonhole themselves in a genre and tends to explore all different moods and sounds. After putting out an EP, demons/demons, under the name JT NERO - a softer, sadder, slightly weirder manifestation of the JT and Clouds sound - JT and The Clouds enjoyed a wave of good press in their hometown. The Chicago Tribune tabbed JT as one of its "ten artists on the verge of breaking big in 2010". Visit www.jtandtheclouds.com for more information about the band. The Lowdown Brass Band, a nine-piece, horn-driven ensemble with strong roots in the New Orleans second Line Tradition, opens for JT and The Clouds, November 19 at Mayne Stage. Learn more at www.myspace.com/lowdownbrassband. Listen to JT and The Clouds perform Friday, November 19 at Mayne Stage. Doors open at 8 p.m. Tickets are $12 available at www.maynestage.com or (773) 381-4554. Enjoy music by singer, song-writer and producer, Bleu, at Mayne Stage Sunday, November 21 at 8 p.m. Recently releasing his dynamic new album, Four, Bleu attempts to get a little more personal with his music. Four demonstrates Bleu's decision to forego what he calls the "brass ring" of the pop mainstream in favor of pleasing those dedicated fans. The lyrics of these effortless tunes often find him venturing into more spiritual, and sometimes much darker, territory than ever before. Writing for chart-topping artists such as the Jonas Brothers, Selena Gomez, Hanson, Jon McLaughlin, Kate Voegele, Bleu has made quite the name for himself in the music industry. Just as in his album Four, Bleu is delighted not to concern himself with writing for the market-driven, committee-based processes of the record business, which has dogged him since his ambitious debut, Redhead, appeared on Columbia/Aware Records in 2003 and earned a spot on NPR's Top Ten Records of the Year. 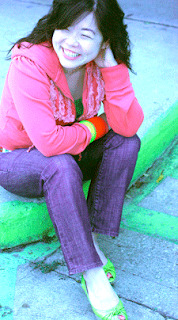 Learn more about Bleu at www.myspace.com/bleutopia. Opening for Bleu on November 21 is Jim Bianco, a singer and songwriter hailing from Los Angeles. Learn more at www.jimbianco.com. Come listen to Bleu Sunday, November 21 at Mayne Stage. Doors open at 7 p.m. Tickets are $10 at www.maynestage.com or (773) 381-4554. Watch Asian-American singer-songwriter, BettySoo, take the stage at Mayne Stage Wednesday, December 1 at 8 p.m.
BettySoo is nestled in the folk-rock genre but brings a unique sound to listeners. A mix of gospel, some straight-ahead folk, a bit of twang, and even a familiar oldie with a new twist surprise even the most die-hard fans. Her first studio efforts (Let Me Love You, 2005; Little Tiny Secrets, 2007, Never the Pretty Girl EP, 2007) were well received by critics, earning praise locally and nationally, even securing her performance opportunities overseas. Her latest album, Heat Sin Water Skin, has a welcome edge and adds grit to the heartbreaker ballads and bell-pure vocals she's come to be known for. Joining her on Heat Sin Water Skin are Todd Wilson on organ, Gene Elders on fiddle, and Dave Terry on drums. BettySoo and seasoned producer, Gurf Morlix, handled the guitar and vocal parts themselves. Visit www.bettysoo.com to learn more about BettySoo. Chicago-native and rock, pop and acoustic artist, Sarah Vonderhaar, opens for BettySoo on December 1. Learn more at www.myspace.com/sarahvonderhaar. Enjoy music by BettySoo Wednesday, December 1 at Mayne Stage. Doors open at 7 p.m. Tickets are $10 at www.maynestage.com or (773) 381-4554. 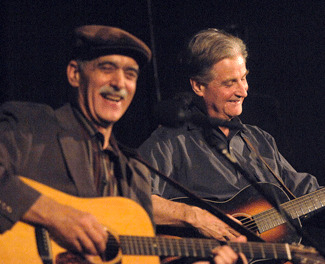 Enjoy music by folk and American music luminaries, Geoff Muldaur and Jim Kweskin, at Mayne Stage Thursday, December 9 at 8 p.m. The two jug band icons, who first joined forces in the vibrant New England folk scene of the 1960's, rekindled their musical relationship during the filming of the acclaimed 2009 documentary Chasin' Gus' Ghost. In a rare event, Muldaur and Kweskin co-headline a 2010 fall tour. Produced by Ezzie Films, Chasin' Gus' Ghost traces the roots of American music beginning with Gus Cannon and Cannon's Jug Stompers, weaving a tapestry through interviews, live performances, archival footage, and photography to show their influence on the ever-popular folk and rock movements of the 1960's. The film features interviews and performance footage with Muldaur and Kweskin, along with contemporaries like John Sebastian, shot at events around the world including a 2006 concert in Tokyo, Japan, honoring the late Fritz Richmond. Learn more about Muldaur and Kweskin at www.geoffmuldaur.com. Come see Geoff Muldaur & Jim Kweskin perform Thursday, December 9 at Mayne Stage. Doors open at 7 p.m. Tickets are $20 in advance and $25 at the door. Visit www.maynestage.com or (773) 381-4554 to purchase tickets. Musikanto opens for Darren Hanlon on October 5 at Mayne Stage at 8:30 p.m. Musikanto performs with elements of orchestral music, country and jazz. Learn more at www.musikantomusic.com. Tickets are $10 at www.maynestage.com or (773) 381-4554. Both GreenSugar and Kevin Junior of The Chamber Strings open for Nicholas Tremulis Orchestra on October 15 at 8 p.m. GreenSugar is a 4-piece blues rock n' roll band first spawned in Los Angeles in 2003. Kevin Junior is the lead singer and guitarist of The Chamber Strings. Learn more at www.thegreensugar.com and www.myspace.com/thechamberstrings. Tickets are $15 at www.maynestage.com or (773) 381-4554. Opening for The Black Swans on November 3 at 8:30 p.m. is Cains & Abels, a rock band originally from Grand Rapids, Mich. Learn more at www.cainsandabels.com. Tickets are $10 at www.maynestage.com or (773) 381-4554. Mayne Stage is located at 1328 W. Morse Ave. in Rogers Park, on the north side of Chicago. A wide range of performances are held at Mayne Stage including concerts from varied music genres, comedy acts, theatrical shows and more. Mayne Stage is also the perfect place to host a private party or event. Visit www.maynestage.com or call (773) 381-4554 for more information, to buy tickets, or see a list of upcoming shows. “Like” Mayne Stage on Facebook at www.facebook.com/MayneStage and follow Mayne Stage on Twitter at @MayneStage. The ticket price for Guy Mendilow Band is incorrect. Advance tickets are $15 via ticketweb.